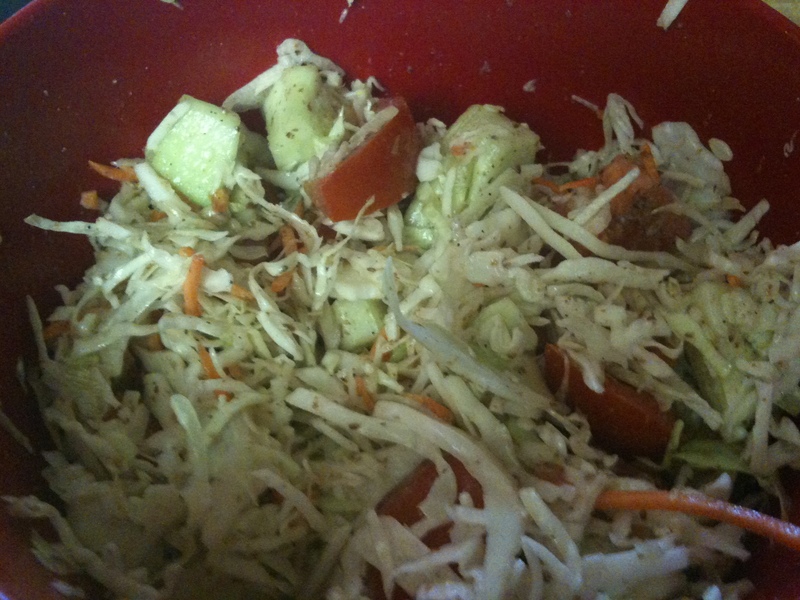 I diced the cabbage and put in a big bowl. Mix all of the above together. Pour over raw cabbage. Toss the mixture around and then chill in the fridge. Add a tart apple, strawberries or oranges. Toss lightly . * note the vinegar will not mix well with the oil, shake if needed or stir before using. I tested it before I used to to ensure the flavor was good for my liking. Don’t miss any new recipes! Sign up today for email updates.